Adrian, 47 is married with two daughters. When invited to his GP's surgery for a 40+ health check, Adrian weighed in at 21st 12lbs306lbs138.7kg and had a number of weight-related health conditions. 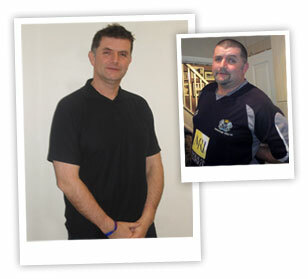 He joined Nutracheck and has lost an amazing 6 stone in 11 months. For the past 4 months. Adrian has been successfully maintaining his new weight. 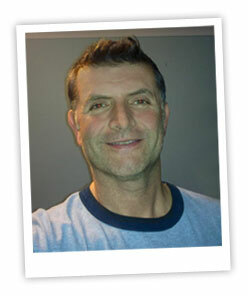 In 2011 I was a 46 year old man with a real problem with my weight, I knew I did, I had had warnings over the previous 9 years but chose to ignore them. It started in 2003 with a VERY painful attack of gout and continued with various sprains, pulled muscles, sore ankles, swollen ankles, itchy shins, itchy calves, more and more asthma attacks, night coughing etc...all adding up to a very miserable man indeed. My lightbulb moment came in January 2011, I was looking at photos of my sister's wedding from 1993, I was a lot slimmer and it showed me what I had become! I was disgusted with myself, I could have wept, and I came very close. Have you always struggled with your weight? How did you feel at your heaviest? My story is probably the same as many others on NC, for years I never really worried about my weight. At school I was stick thin, at college I gained weight but not enough to concern me, I still played my chosen sport, badminton, I still rode my bike. Beer and girls put paid to my sporting life and a Vespa, then a car ended my bike riding days for a good 25-30yrs. Yes I put on a bit more weight! In 1988 I weighed in at 18st, I was officially Big Ade or Big Man or Bear. I was fit though, I played American Football and trained twice a week for it along with doing weights etc. That ended after a couple of years and any muscle I had shrunk and I went all wobbly! Over the next few years things happened, I lost a shed load of weight (not sure why) and quickly put it back on (plateaued?) for a while yadda, yadda, yadda. I think doing less activity throughout the years and I also drank what I wanted to, ate what I wanted - all to excess. This went on for years and it was when my children were born that I really started to balloon!! I hadn't tried any diets before. After I decided I needed to lose weight, I came across an article in the paper about a girl who had lost 10st using a calorie counting iPhone app. Calorie counting sounded like a very effective way of looking at the amount I was eating, so I started the research! At the same time I was invited to my Drs surgery for a 40+ health check, I was officially 21st 12lbs306lbs138.7kg. I looked at various sites offering calorie counting and to be honest Nutracheck offered the best trial period, so I signed up on April 4th 2011. You have been losing weight for a year now - how do you stay motivated? When I first joined NC I weighed, measured, boiled, steamed, entered everything, exercised and have continued ever since. After 12 days I weighed myself on my brand new digital scales.....21st 1lbs11lbs4.9kg! I had lost 11lbs in 12 days! I couldn't believe it, I checked the scales using a 1kg weight, nothing wrong there, I was speechless and then I was ecstatic!!! That feeling is great motivation. By May 4th 2011 I had lost 1st 10lbs24lbs10.8kg! Now I am approaching my 1 year anniversary and at my latest weigh in I have lost 6st 1lb, 8inches round my waist, 6inches from my chest and I can see things that were a distant memory............ my feet. Don't give anything up, anything in moderation as long as you dont exceed your daily allowance. Celebrate success.....have a day off when a milestone is reached, buy yourself a well done gift, brag about it on the forum. Use all the tools available on the site, participate, get involved in the forum, it's a great support network. Get a bike!! Seriously if there is nothing stopping you from riding on health grounds riding a bike is awesome. Don't make excuses, don't think of reasons not to do it, if you're fat and unhealthy and know it then do something positive, more often than not, over indulgence makes you fat, not big bones!! Don't eat for the sake of it, if you are not hungry then, hey, bank those 200 cals or better still forget about them and start afresh the next day. Finally did I mention GET A BIKE and DONT MAKE EXCUSES? I have hit a few plateau's, the forum is always a good way of getting my head straight. There is always plenty of support there and more often than not it has been a case of a few words of encouragement has put me straight. On other occasions life has just got in the way and my focus has shifted, the important thing is I have realised that and refocused. My view has been if I don't gain weight I am still winning. I used to eat LOADS!! Seriously I have learned that by making a few small changes to what I eat hasn't been a chore and I feel less hungry than I did before, that combined with even a little exercise means a lighter me!! 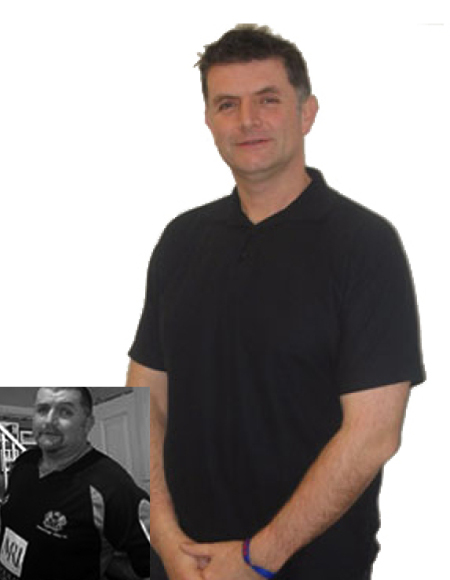 On Dec 15th 2011 I reached my 6 stone target, the last time I weighed on March 31st 2012 I was exactly the same weight 15st 12lbs222lbs100.6kg, Christmas has been and gone as well as a holiday and birthday parties etc. OK I have gained a bit but the important thing for me is it has come off again! In conclusion I am very confident that I can continue to keep the weight off, in fact during the summer I am thinking of going for another 12lbs12lbs5.4kg, if my wife lets me!! Be realistic about what your expectations are, there are no quick wins if you want to stay slim, in my opinion. Make sure whatever you do fits in with your lifestyle. I am poorer for it as I've had to buy new clothes - but I've got great new wardrobe!!! I am fitter and more active in general I sleep well, I haven't had any asthma symptoms for a year now. My joints no longer ache, I can play badminton again, being out of breath is a thing of the past. I am loving life! !